Spent way too much £££ on that Cure remix album or Floyd mono re-release? Couldn’t get your hands on that green Shaggy 7″? 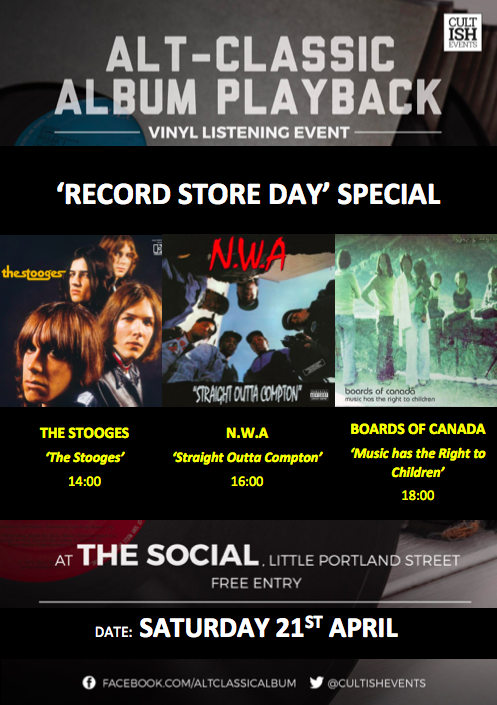 Console yourself with an amazing triple-header of albums played all the way through at The Social – for free! A carefully-curated selection of artists who influenced each album will introduce the playbacks.